The new and improved Rossignol Experience 84 AI W is a perfect ski for the intermediate to advanced skiing woman looking for quick and easy turns on the frontside of the mountain. New to the Experience W line this season is Line Control Technology. LCT was developed in Rossignol's World Cup race department to deliver better ski-to-snow contact for added stability and responsiveness, especially when you ramp up the speed. The LCT is made from ABS material to reduce weight while adding power to the ski. Basalt has been added to reinforce the core, but actually reduces the total weight of the ski. The new Air Tip VAS Construction uses vibration dampening materials in the tip of the ski that smooth out the ride and improve your maneuverability. All-Terrain Rocker has a rockered tip and tail with camber underfoot that allows for easy turn entry and exit with a strong amount of rebound and edge hold when things get icy. If you are an intermediate to advanced skier looking for stability and agility, the Rossignol Experience 84 AI will be a great choice for yourself. 2019 Rossignol Experience 84 AI W Ski Review by Jessi. 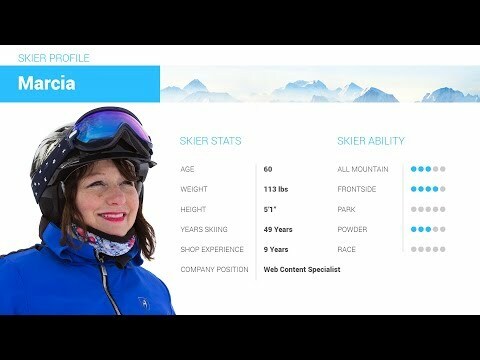 2019 Rossignol Experience 84 AI W Ski Review by Whitney . 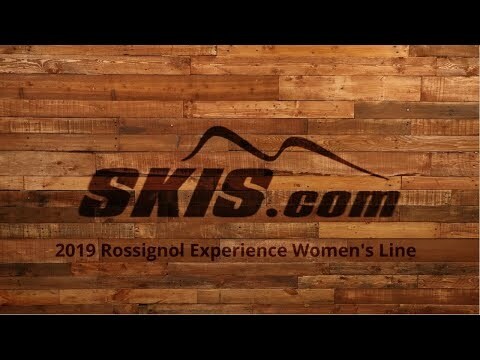 2019 Rossignol Experience 84 AI W Ski Review by Tori . Q: Do they come with the bindings mounted? A: We can only mount the bindings if you purchase the ski, binding, and boot. To install bindings safely they must be tested with the actual boot that is going to be used. This ensures that the bindings release correctly.